It was a wedding planner's nightmare. First of all, my couple wanted to get married on a Sunday. This meant that I had to get their Special License on Friday, as the Governor's Office is closed on weekends. As luck would have it, my couple missed their flight, and instead of arriving Friday noon, they arrived Friday night. In itself, this wasn't too big a catastrophy, since they could have been married on Monday...except the guests they had flying in for the weekend were booked to leave Monday morning, and would therefore have missed the wedding. Thanks to their American Airlines agent, arrangements were made for the Governor's Office to open so they could get their license. Everything went according to plan - until it was discovered they didn't have the required documents, specifically the final divorce decree. As the window of opportunity began to close, I have a disappointed bride, flowers ordered, (florists here aren't open on Sunday) photographer booked...everything set to go, but with no license! Plan B - do a Commitment Ceremony. 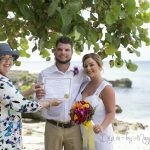 A Commitment Ceremony is done, when for whatever reason a couple can't be legally married, but they want to have a public ceremony to honour their commitment to each other. It is not binding. They will have some of the elements of a marriage ceremony, ( flowers, photography, rings if they wish) but the form of the ceremony is diffent, and instead of wedding vows they will make different promises to each other. There is no record of the ceremony, and no Marriage Certificate is given. One of the other things which can go wrong, and which I have no control over, has to do with cruise ship weddings. Very infrequently because of weather, a cruise ship will not stop at the island. In this case, I will refund 75% of your deposit. In the last 12 months I have had this happen one time out 127 weddings. Couples ask me all the time if I have back up arrangements for rainy weather. The answer is yes, I have several inside venues. However, particularly if you are a stay-over visitor I will try to accomodate you by changing the hour, and even the day of your wedding until the weather is more accomodating. This year I have had to do this only twice. The odds are that everything will go smoothly with your wedding. However, having an experienced wedding planner, even for a simple wedding can make a big difference. Remember I do this hundreds of times every year, and I live here. One of the biggest mistakes couples make is to think that they can do things themselves to save money. If you live here, you can do the running around yourself because you have the time and the opportunity. If you are here for a few days, or a few hours...leave it to the specialists. We live here, and we already know where the deals are, we work with wedding service vendors every day. 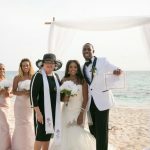 The most important thing you can do for your Destination Wedding is to build up a good relationship with your wedding planner in advance, so ask as many questions as you want, have as many jitters as you want (before you get here). Once you're here, I have it covered. 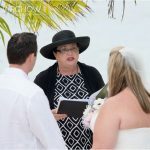 Treat your wedding planner as a professional. Know all costs up front, know the company policy on refunds, bad weather etc. up front. Keep your end of the arrangements, regarding deposits, documents, etc. and be on time for your wedding. 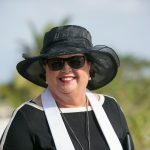 Remember you might not be the only wedding scheduled for the day (unless you are having a cruise wedding, in which case you WILL be the only wedding scheduled for that morning). If you aren't happy about something, say so. Many of my weddings come from word-of-mouth referrals, so if you are happy with my services tell your friends. I want your wedding to be a truly memorable experience which you will talk about for the rest of your life.